Rustic but elegant handcrafted solid sterling silver and gemstone necklace. 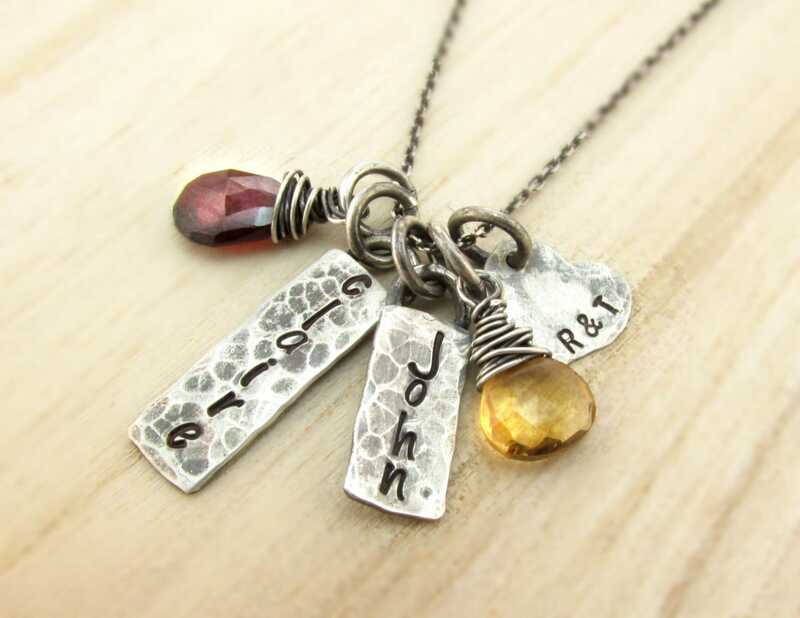 Including two hand stamped name bars soldered to a ring and two genuine semi-precious gemstone of your choice. Also included in this family necklace is a sterling heart charm hand stamped with initials.